Brand Packham- A walk on the wild side - Shout! 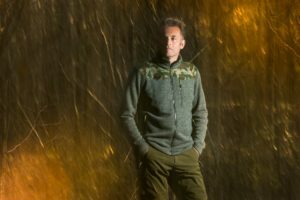 Chris Packham: Love life. All life. Everything is beautiful, everything that creeps, crawls, slimes, slithers or stings. A People’s Manifesto to save British wildlife from ‘mass extinction’, a Bioblitz to record what wildlife remains in the UK and now a new clothing range to inspire people to explore the natural world. It’s been a busy few months for naturalist and TV presenter Chris Packham, who we’ve enjoyed supporting on a number of occasions. He’s just one of many celebrities though who is becoming a brand in his own right – albeit it an outspoken, principled and passionate brand. Some celebrities may focus on representing other brands and entrepreneurs’ ideas but Chris Packham is a man with purpose and values and ensures any project coincides with HIS goals . Clothing in the range comes with a series of features including jackets lined with a footprints guide to help identify fox, badger and dog paw marks, and wildlife-themed camouflage patterned materials. They do not have noisy fastenings which could scare off wildlife. He’s also undertaken the UK’s first Bioblitz, a wildlife stocktake which investigated the extent to which our species are under threat. The 10-day campaign saw Chris visit 50 sites to ensure he has his finger on the pulse of the UK’s countryside – where it’s strong and where it’s weak. But with this high profile, and such a proliferation of causes and interests, comes challenges as broadcasters worry about over exposure. Whilst they enjoy his celebrity power and influence any appearances on radio and TV need to be carefully managed. So what do you need to think about if you have a celebrity influencer and need to promote multiple campaigns? Manage expectations: It doesn’t matter how good a guest you’re providing, broadcasters have an unwritten rule that there needs to have been a gap of 4-6 weeks before they’re booked for a repeat appearance. Celebrities are instantly recognisable and producers want to keep their programme fresh. If you’re working with a celebrity you need to prioritise one particular story or hook above others, and be judicious. 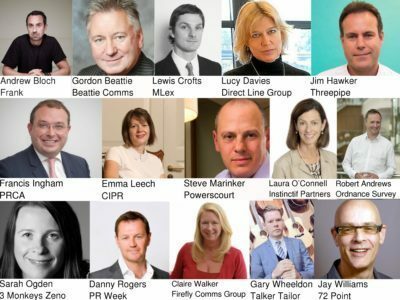 Timings: Working with longer lead programmes to keep the momentum going and avoid one big news push. With Chris Packham we booked him on Saturday Kitchen to speak about his clothing range – Chris chose a vegetarian menu echoing his love of wildlife. He was also booked to appear on Zoe Ball on Saturday a few months later to talk about Bioblitz as the summer campaign wrapped up – this coincided too with an appearance on the One Show on the same theme. 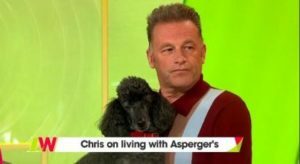 The brand needs to compliment the programme: Chris Packham appeared on Loose Women and their objective was to talk about his well documented life living with Asperger’s Syndrome. Scratchy his beloved poodle came too – allowing Chris to talk about the great outdoors and Bioblitz. How this fits officially: “This is something I would need to run by our lawyers at ITV before I start looking into possible dates.” Ofcom rules are really strict and no undue prominence may be given in programming to a product, service or trade mark. This is always a challenge when a celebrity is promoting a product and it is better to discuss with the programme where the boundaries lie. Chris Packham wouldn’t be able to wear his clothing range for example (although he did in images for print), but a casual mention about rivalling his sister is acceptable. No matter what direction celebrities take, other brands can learn valuable lessons about branding, celebrity power and influence from someone like Chris Packham: above all it’s the need to keep it authentic.